Didn’t we just do this? We just had a new set, right? It feels like this has been a lightning-speed summer, with set after set after set. We also have the news about the Masterpiece series, a set of chase reprints that will help hold down values, as people crack boxes to get these absolutely gorgeous foils. I love what the Inventions offer, and I want to reiterate what this means for the rest of the set: lower prices. Battle for Zendikar had very few pricey cards, because the Expeditions were in such demand and lots of product got opened. We are going to see this at work as well in Kaladesh, pushing all the rest of the set downward financially. My picks today reflect that; I don’t see a lot of value in the gold symbols. We haven’t seen it all, but so far, I like some foils and I expect a lot of cheap cards. 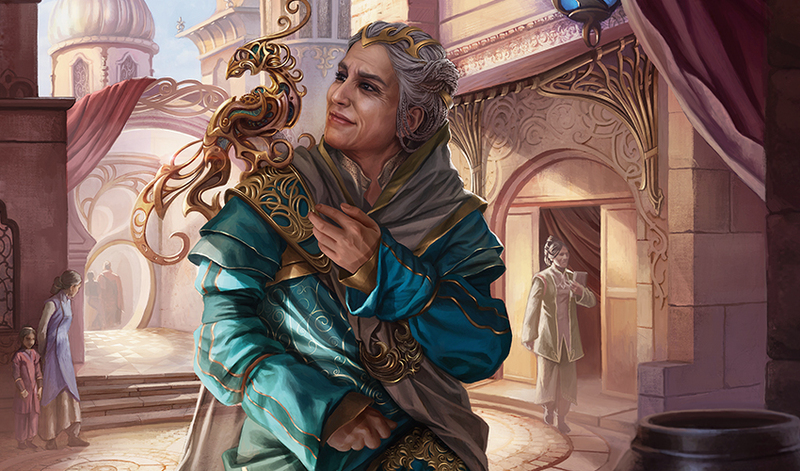 Kaladesh has had two more spoiled mythics, so let’s jump into those before I discuss the rares that are worth it. Combustible Gearhulk – Big and packing a giant zap, your opponent should never let you draw three. I’ve played Browbeat, and your opponent will always take the damage. I love that this combos with Eldrazi Displacer to make someone very sad, but since no one will ever let you draw three, this will be about $4 tops. Dovin Baan – This into Fumigate is going to be the control deck’s dream for the next eighteen months. This card does everything that deck could desire, drawing and life and delaying. It’s going to see a lot of play, but I think that the Inventions keep this under $20, but above $15. He’s not going to see as much play as Gideon, Ally of Zendikar, and that’s a best-case scenario for a big-set planeswalker. Panharmonicon – This is likely the best long-term hold in the set, but it is also the most reprintable. Wizards keeps finding ways to reprint stuff and I think that I’m going to pick up lots of these as they approach $1 for the regular, but this is going to have a big foil multiplier, I suspect between $5 and $10. No matter, as the foils are going to be an excellent way to retain value going forward. Animation Module – As the rare of this cycle, it’s got the most potential, especially in foil, but that’s a lot of hoops to jump through. Barely above bulk. Aetherflux Reservoir – What’s not to love? This is a fantastic way for lifegain decks to have a plan to win the game. It’s also instant-win to get played alongside Exquisite Blood, gaining 50 each time you deal 50. This is going to have a similar trajectory as Panharmonicon, with an impressive foil multiplier and a card I want to have many of when the set is done. Metalwork Colossus – Nonartifact creatures means mana rocks. Plan accordingly, but keep in mind this lacks trample or anything like it. Likely a bulk rare. Padeem, Consul of Innovation – Four mana is a lot, especially to not get the extra card for a whole turn, but I think the casual appeal will keep foils well above bulk rates. Oviya Pashiri, Sage Lifecrafter – I want the regular copies to keep their price, but that won’t happen. She will be about $1, with a foil that jumps dramatically, past $5. She’s amazing in all the Doubling Season decks. Insidious Will – I love this card in Commander and Cube. I don’t think this is good enough for Standard, at least not more than one or two for decks, but I think this will be a pretty foil and be able to ask at least $2-$3. Fumigate – I have looked high and low and I can’t find a wrath that could gain significant life. I t suspect that it’ll see a lot of Standard use, but I’m sort of excited about the foils too. I can easily see a board wipe gaining 10 or more life, with the potential to be really disgusting. Foils should end up about $3-$4.